Our caring professionals will help you find the perfect trophy, award, and custom engrave it with flair. 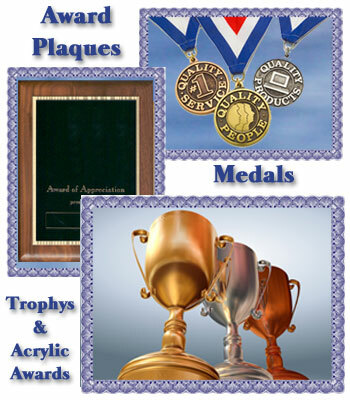 We have been creating awards for individuals, schools and businesses in the Orange County area Since 1977. We Specialize in expert engraving and athletic and military awards, at our trophy store we create a huge variety of quality awards in a number of styles for you to choose from. Whether you are looking for awards, plaques, or medals, you can count on us as your best source for dependable trophies and engraving. We have a complete showroom with 1000's of styles to choose from. Brea Trophy and Engraving Inc.